Not to be republished or redistributed without prior written consent. Note: A comparison of clinic success rates may not be meaningful because patient medical characteristics and treatment approaches may vary from clinic to clinic. 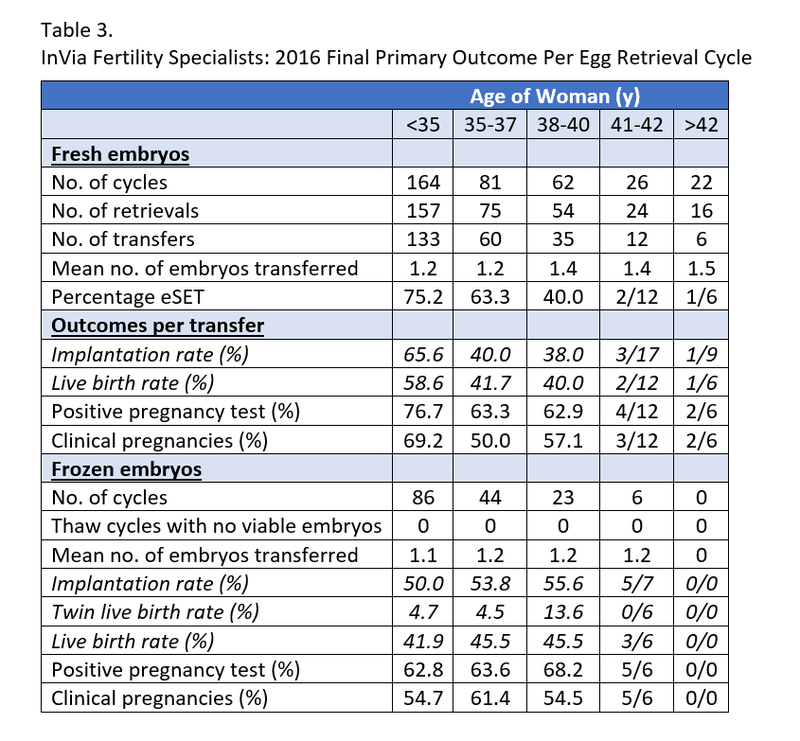 The above charts reflect clinical live birth rates for InVia Fertility's Chicago area fertility clinics. Not all of these patients will deliver a term infant. 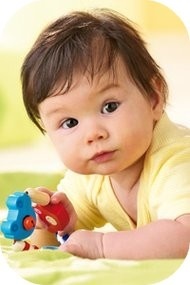 The rates are a sum for all patients treated and may not reflect the actual chance that a couple has to conceive. The chance to conceive must be determined for each couple individually, based upon their own clinical situation as determined by their physician. Success rates represent an average result (i.e. the experience of the program for groups of patients). While such statistics do not necessarily reflect what your experience will be, they are a means of evaluating a program's success. We submit our annual IVF treatment results to the Society for Assisted Reproductive Technologies (SART). This information is compiled and published by the Centers for Disease Control and is available online (www.cdc.gov) for public review. 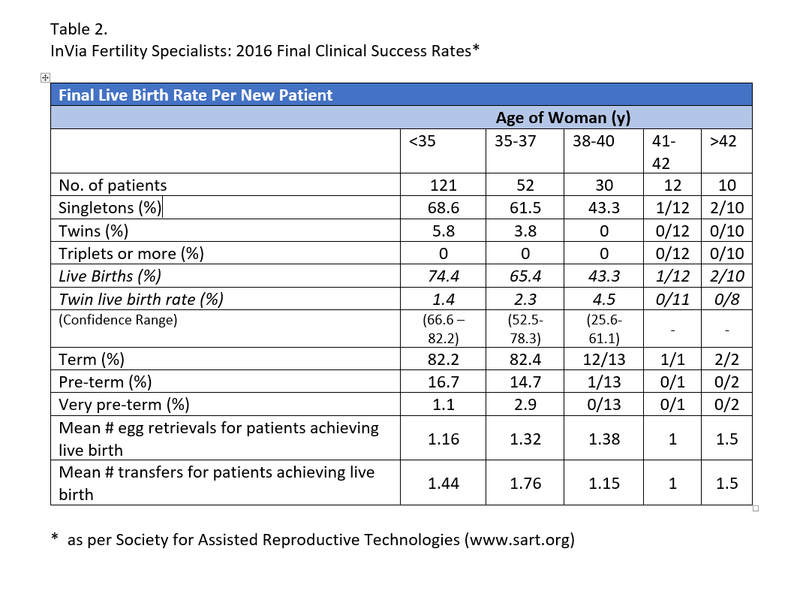 The most important section of the CDC/SART publication reports the average pregnancy rate for every IVF program throughout the country. Unfortunately, the process of reporting involves an inherent two to three year lag from the time of reporting to actual publication. Since we understand your need for the latest information, we publish our clinical live birth rates on our website at the end of each quarter. In reviewing statistics, you should be aware of how they are calculated. 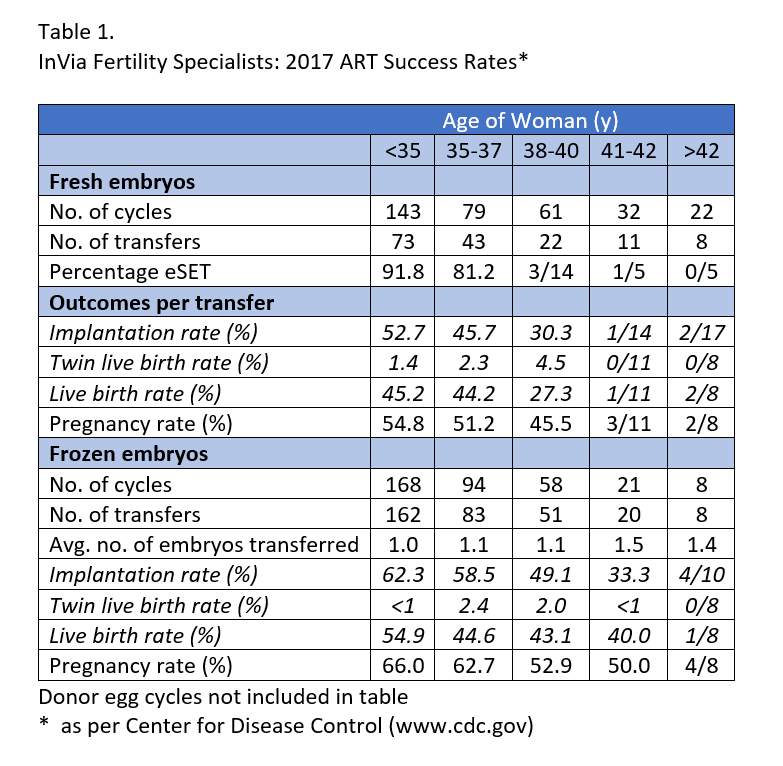 Success percentages represent a fraction, where the numerator (the top number) represents one group of patients who have achieved a successful stage of IVF therapy, and the denominator (the bottom number) represents the entire group of patients who underwent that particular stage. When you divide the numerator by the denominator (and then multiply that by 100), you will arrive at a percentage. Anytime you read a percentage from an ART program it is important to know exactly what defines the numerator and the denominator. For the clinical live birth rates on our website, the percentages reflect those patients who proceeded to an embryo or blastocyst transfer. Thus, the numerator is those women who achieved a clinical pregnancy, and the denominator is all of those women who experienced a transfer. All other statistics, measured by different numerators and denominators, can be found on the CDC's website.